Westfield State University and Greenfield Community College announced a RN-to-BSN completion program partnership to be based in Northampton. The announcement and agreement signing was part of today’s ribbon cutting and opening event at GCC’s new satellite location at Smith Vocational and Agricultural High School in Northampton, Mass. “Westfield State University is pleased to partner with Greenfield Community College to offer a streamlined, efficient pathway to a Bachelor of Science in Nursing degree for GCC associate degree graduates and other area registered nurses,” said Westfield State University President Dr. Ramon S. Torrecilha, who explained that the new agreement strengthens the university’s existing relationship with GCC and helps Westfield State to continue its mission of delivering accessible, affordable degrees. According to GCC President Dr. Robert L. Pura, who led the speaking program at Friday’s event, the community college’s Practical Nursing program and a menu of select credit courses will now be headquartered in the Northampton satellite location at 80 Locust Street. The new Westfield State-GCC RN-to-BSN completion program will consist of mostly online coursework with limited onsite requirements at Smith Vocational and Agricultural High School. Applications are now being accepted for fall 2018 enrollment. “Total cost of the 30 nursing degree credits is $10,800, making the program one of the most cost-effective of its kind in the area,” said Dr. Shelley Tinkham, dean of the College of Graduate and Continuing Education at Westfield State University. According to Dean Tinkham, under the agreement, GCC associate degree graduates can transfer up to 90 course credits into the BSN degree program at the university. Full-time students can complete the program as quickly as one year, but students can opt to complete the program on a part-time basis in 24 months. “The spirit of this collaboration underscores both institutions’ shared commitment to nurturing this segment of the workforce and it demonstrates our mutual concern and interest in preparing future generations of nursing professionals,” said President Torrecilha, who explained at the Dec. 1 event that bachelor’s-prepared nursing professionals will remain in high demand for the foreseeable future. According to the U.S. Bureau of Labor, employment of registered nurses is projected to grow 15 percent by 2026, significantly faster than the average for all occupations. Westfield State University began offering its RN-to-BSN program in fall 2016. 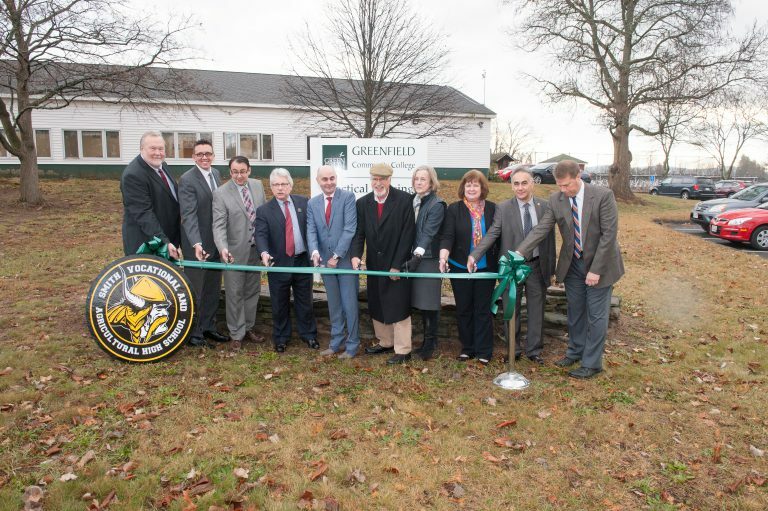 The Westfield State-GCC partnership represents the program’s second expansion, following the Westfield State-Springfield Technical Community College partnership that began in spring 2017.